Evolved in Central Asia, but reached Europe in the 1700’s, the United States later that century, and now it is found throughout the world. It is a rodent of cooler climates, but now also infests many tropical environments as well, primarily in the seaport areas. Native to forested areas in Southeast Asia, but transported into Europe by caravans as early as the 11th century. 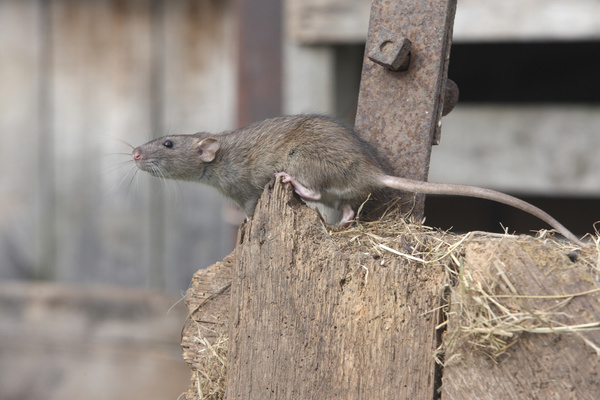 It was the common structural rat in Europe during the Black Death episode in the 14th Century. It arrived in the United States somewhere in the 1500’s, although this is not certain. In the U.S. it is not as widespread as the Norway Rat, generally staying within 100 miles of a coastline, and occurring throughout cities from Washington to southern California, along the Gulf Coast and up the entire eastern seaboard. 55 different species of this genus are found in the U.S. and are native animals. They have gained notoriety in recent years due to the associations with Hantavirus (deer mice) and Lyme Disease (white-footed mouse), and 2 distinct species are generally given the two common names. Deer mice (P. maniculatus) are found throughout the U.S. except for the southeast, and the White-footed Mouse (P. leucopus) is found throughout the U.S. except for the West Coast states. These are native rodents in the U.S. and occur throughout much of the country with the exception of the New England states and some areas around the Great Lakes.